Nick Clegg rounded off the Liberal Democrats conference in Birmingham with a conference speech that proved technically good. But at 45 minutes it was perhaps a bit on the long side. 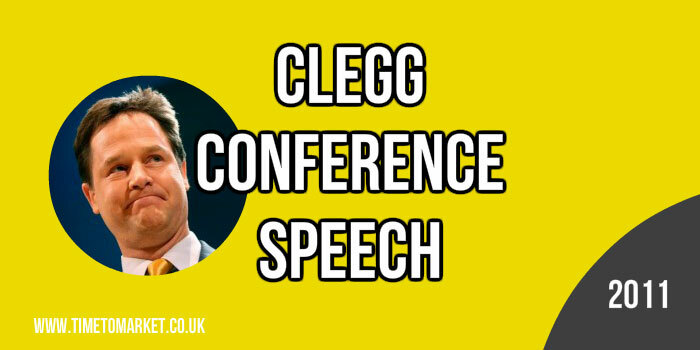 What’s more, it didn’t seem to be a sell-out audience for the Nick Clegg conference speech. So, perhaps that was disconcerting for the Deputy Prime Minister. Because at times the conference room seemed to be only 2/3 full. This was a speech in which he sought to set out the lessons learned in government and acknowledge the problems faced in the last 500 days. And that was his introduction. However, no fanfare and no great rhetorical flourish. So it was altogether quite different to the earlier Spring Conference speech. After the so-called masters of the universe turned out to be masters of destruction instead. Reason not prejudice. Compassion not greed. Hope not fear. Permissible…if you always speak like that….BBC foreign correspondents are a case in point. However, I sense that this was an occasional speech style fashioned for the mass market. Dumbing down? Ah yes, the proverbial walk in the park. After the summer riots, message boards sprang up. They became known as “peace walls”. Britain is our home. We will make it safe and strong. These are our children. We will tear down every barrier they face. And this is our future. We start building it today. So that was it. 45 minutes of technically very competent speaking. And it certainly lacked a bit of the passion we might have expected. 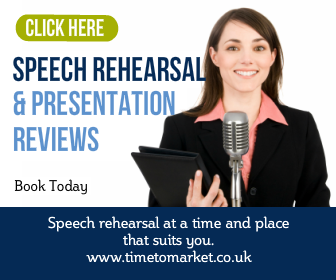 We have all sorts of tips and advice for giving your conference speech. 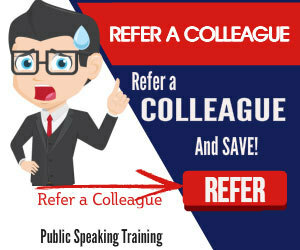 Or, when you want to really develop your conference speaking skills you can always ask us to organise a public speaking course for you and your team. Please don’t hesitate to get in touch when the time is right. Agree, it did lack a bit of passion.